The ABC shot in question. Toyota is furious with ABC’s Feb. 22 “World News” story, in which a video was edited to make it appear that a parked car’s revving engine was actually the car ABC News correspondent Brian Ross was driving.In order to demonstrate Toyota’s recent acceleration problems, Ross drove a car that was rigged to accelerate quickly. 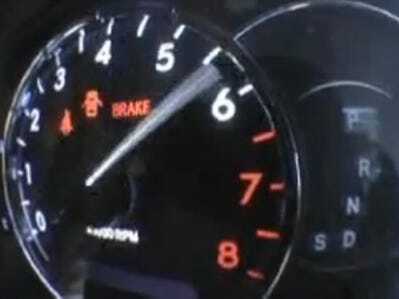 The image of the tachometer (which measures engine speed) was doctored to look like it was taken as Ross was driving, the AP reports. This edit made Toyota’s design flaw look even worse than it actually is, according to Toyota.